The Jets are coming in on a four game win streak and hoping to leave for the bye week/All-Star Game with a fifth. Whereas the Dallas Stars are on the opposite side of the fence, hoping to avoid a five game losing streak. Scheifele wins the traditional last man off the ice match against Seguin. The Jets and later the Stars both take penalties within the first half of this period, the start of what will be an endless bad boy box parade tonight. Both Spezza and Trouba sit for 2 minutes. The Trouba penalty results in a Brad Ritchie’s 3rd goal of the season on a nice play set up by Seguin to Klingberg and a tip from Ritchie in front of the net. With a minute and change left in the 1st period, Carrick gets a little aggressive with the wrong guy, but Lemieux uses his fists to politely explain why that was a bad idea. Both get 5 minutes to think about what they’ve done. Hellebuyck does whatever it takes to stop 10 of 11 shots on net, including stopping a puck with his face, it takes his mask clean off. The period ends 1-0 for Dallas, the Jets have a measly 4 shots on goal. No one really stands out as exceptional here, especially not the fourth line. Dallas doesn’t waste any time scoring their second goal of the evening, at 19:38 in the second Blake Comeau scores his fourth of the season, making it 2-0. The Jets are much more focused on the bad boy box parade. Kulikov takes a high sticking penalty, Joe Morrow makes a questionable hit on Jamie Benn and Blake Wheeler gets caught for tripping. All within 6 minutes of play. Eventually, the Stars get bored of being on the power play all the time and Radulov trips Scheifele so that he can check out this penalty box that the Jets have been so fond of tonight. The Jets manage to miss the net for an entire two minutes, Dallas comes off the PK to show them how it’s done with a goal from Faksa. Just when you’re wishing the period could just be over, Morrow takes yet another penalty, this time for high sticking. The period ends with Jamie Benn giving Matthieu Perreault a chicken wing to the face. On a ten point dumpster fire rating scale, this period is a solid 7 (coincidentally amount of shots on goal the Jets have had in the second period). Finally! The Jets show up to play this period! Brendan Lemieux wakes up and remembers that the Jets like scoring goals, making it 3-1. Just 21 seconds later, Wheeler performs possibly the most beautiful pass in all of hockey history and Kyle Connor nails it in, making it 3-2. Appleton draws a penalty on a slash from and ends up on a power play, but whatever was clicking for the start of the period seems to be fading. Hellebuyck keeps the Jets in the game, stopping a handful of decent scoring chances from Dallas. Late in the third, a penalty comes to Mark Scheifele for holding, he’s not pleased and has a few choice words for the ref that included the word ‘frick’ 3 times. Chances that Mark Scheifele swore? None. With a minute left in the penalty kill, the Stars also take a holding penalty. In the spirit of one upping the sudden parade of penalties, Laine gets called on an absolutely weak hooking penalty. I’m not sure which words Laine used here, but I don’t believe it was ‘frick’. This leads to Tyler Seguin making it a 4-2 game and more importantly.. the end of the game. This heat map nails it. I might be clouded by the fact that I really am not into the Texas Rangers at all, but this might be the single worst jersey I’ve seen in awhile. Glad to see this didn’t make it out of warm ups. There’s not much to like about the Jets’ game today. The first two periods showed that they still struggle with not playing down to teams like Dallas. Going into the third, they had almost as many penalties as shots on goal, managed to rally for a bit and then ultimately continued on with the bad boy box parade. For Dallas: Ben Bishop had a tough third period when the Jets decided to make all their shots on net. The game could have very easily turned in the Jets favor when the game tilted. He made some key saves and ultimately kept 29 shots out of the net. 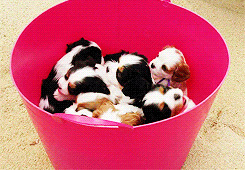 For Winnipeg: So many Jets to choose from.. umm, here’s a bucket of puppies instead.